I love a nice warm, fresh out of the oven loaf of bread. And I love it even more when it is easy to make. This Easy French Bread Recipe is both of those things. And it is the perfect addition to any meal. Be sure to scroll down and watch the video! The only downside to fresh, homemade bread is that it can take a bit of time. Proofing, rising, rolling, rising etc. Today’s recipe is a quick and easy one. It may not be quite as quick as the 30 Minute Roll recipe I have on my blog, but it is pretty close. And the results are a delicious loaf of French bread. Crusty on the outside and soft on the inside. This easy French bread recipe makes one nice size loaf or two smaller loaves. I usually make two. We enjoy one loaf and I give the other loaf of French bread away. We have a delicious dinner and so do one of our friends or neighbors. The dough from this recipe is mixed in your mixed with a bread hook in your Kitchenaid or mixer of choice. Then, leaving the dough in the bowl, cover it with a towel and let it rise until it has doubled in size. It only takes about 20 minutes. The warmer your kitchen, the quicker your dough will rise. How to Make French Bread LoafsAt this point, if you are feeling generous, you can divide the dough in half. If you have company coming or just aren’t in a sharing mood, you can leave all of the dough out in one big piece. Now grab your favorite rolling pin. This is the rolling pin I like to use for bread dough. 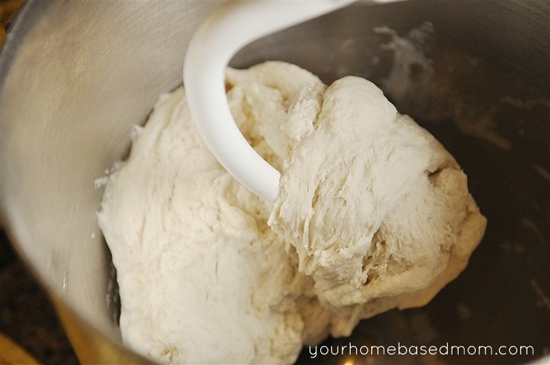 Before you roll out the dough, make sure you flour your counter generously. You will need enough flour so the dough doesn’t stick. 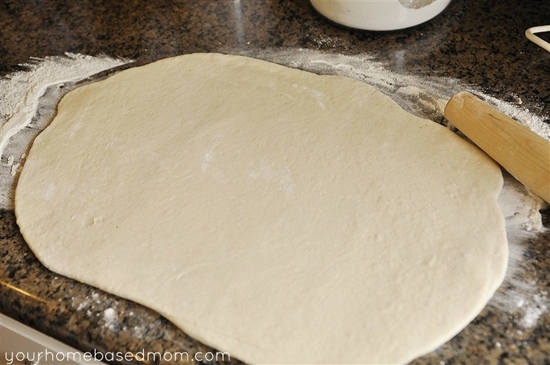 Once floured, roll out the dough jellyroll style and place the seam side down on a large cookie sheet. I also like to use a silicone baking mat on my cookie sheet. It helps the bread bake evenly and makes clean up a breeze. With a sharp knife cut three slits into the bread. Be sure to only go about 1/4 inch deep. If you go too deep your bread may look a little funny after it rises the second time. I know from experience. Then give the bread a nice little bath in an egg white wash. To make the egg white wash, just add 1 Tbsp water to 1 egg white and mix together. Next, heat up a pan of water on the stove until it boils. While you wait for the water to boil, preheat your oven to 300 degrees. Once the oven is preheated and the water has come to a boil, TURN OFF the oven. Then place the pan of boiling water onto the lower rack of your oven and place your loaf of bread on the rack above. Allow the bread to rise this way until double. This will take about 20 minutes. 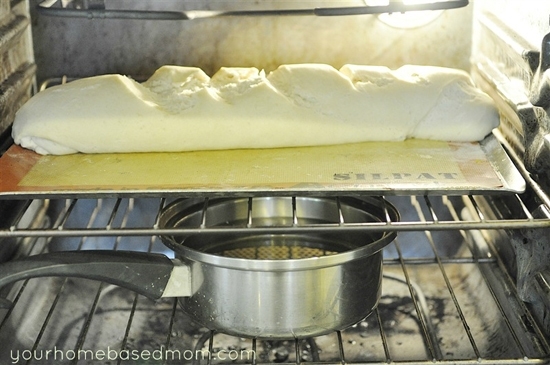 The steam that is given off from the water helps the loaf get that nice crust that a good loaf of French bread needs. Remove the pan of water from the oven and turn the oven on to 425 degrees. Leave the bread in the oven as it is preheating. Bake bread for 10 minutes. Then turn heat down to 375 degrees and bake for another 6-8 minutes if needed or until golden brown. 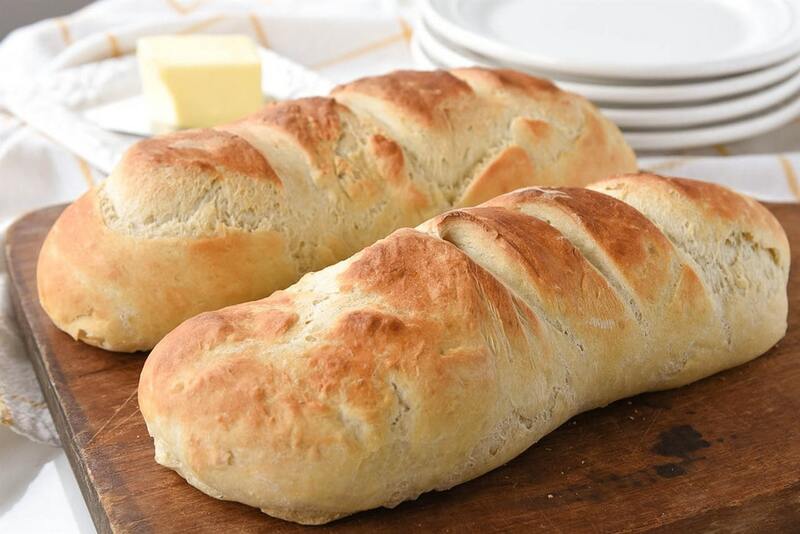 Enjoy a nice, warm loaf of home baked french bread with dinner! FRENCH ROLLING PIN– I love this thing. There are no handles to get in the way. Just use the palms of your hands on the ends. Just like the French! 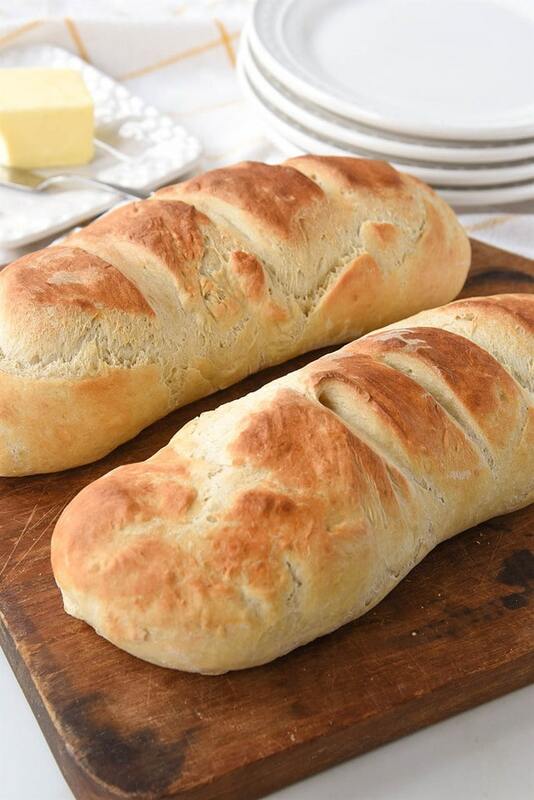 Enjoy the delicious taste of homemade french bread with this quick and easy french bread recipe. Combine 1/4 C water, yeast and 1 tsp sugar into a bowl. Allow to stand for 5 minutes until yeast is bubbly. Add in 1 Tbsp sugar, salt and water. 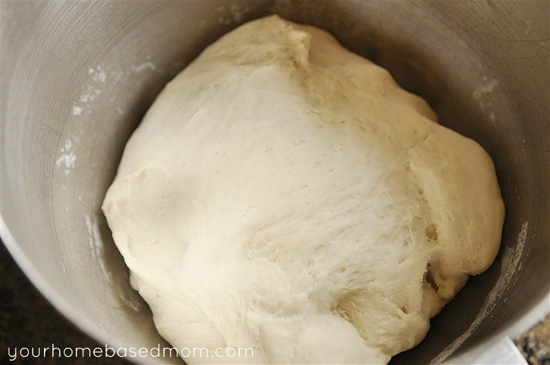 Mix well and knead for 5 minutes or until dough is smooth. Mix together egg white and 1 Tbsp water and gently brush on loaves. Boil a pan of water and then put it into a shallow dish. Reduce oven to 375 after ten minutes and continue to bake for 6-8 minutes longer or until bread is golden brown. I LOVE your blog! It has let me try new things and be more creative with my meals. 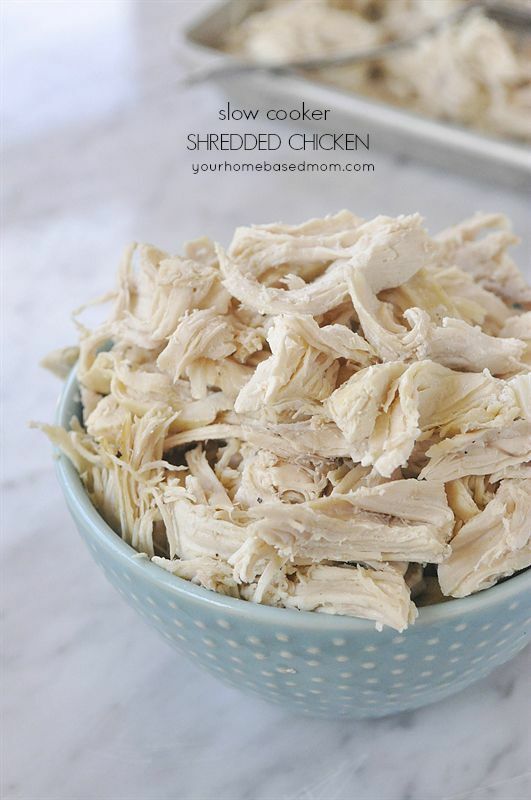 I saw this recipe this morning and already made it to go with Parmesan chicken. It turned out perfect. Thanks for all of your delicious recipes!! So glad you enjoyed it. 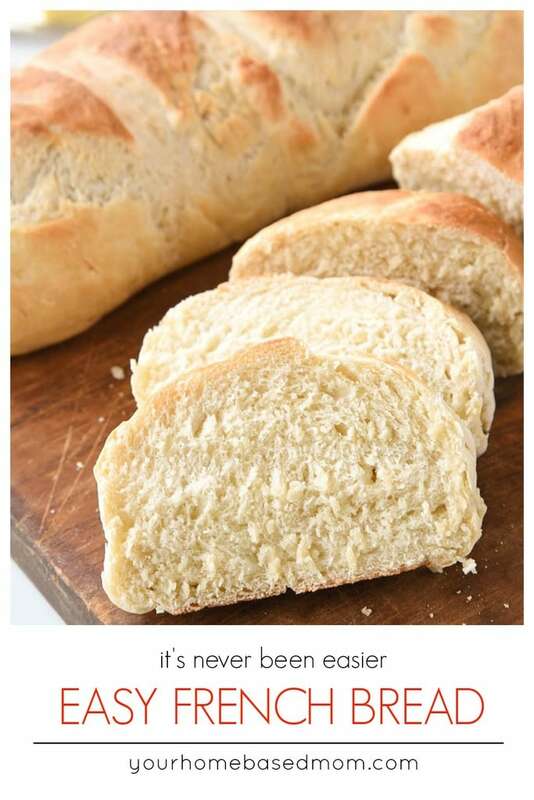 It is so easy you are going to want fresh, home baked bread with all your meals! So glad you enjoy the blog. Thanks for ANOTHER great recipe. I found it yesterday and made two batches for our family and friends too. Everybody loved it! Great tip – last time I made bread I put it in the small guest bathroom downstairs, turned on a space heater and shut the door – worked like a charm! I’m in the process of making this right now and so far it smells delicious!! I’m assuming you remove the bread from the oven as well as the pan of water while it’s preheating to 425. Is that correct? Actually I only remove the pan of water but leave the bread in. So does the 10 minutes start from when you turn the oven up to 425, or once the oven reached 425? Wow, I just made this bread and it is by far the best I have ever made. So simple yet so delicious. Thank you for such a great recipe, now I have to try the 30 minute rolls! So glad you enjoyed it. It is so easy and as you said, so delicious!! I just made these twice today and they were amazing! my only question is do you begin the ten minutes AFTER it has preheated to 425 because my oven goes right back down and by the time the ten minutes are up, it hasnt reached 425 so I have ended up leaving it in a little longer but the insides are still not as cooked as yours look. Other than that, even not at its most perfect, my husband and I have still eaten a whole loaf already while I am processing the second batch! I don’t remove the bread while the oven is preheating to 425. So you leave the bread in the oven, turn the oven to 425, and once it has reached 425 you start the 10 minutes bake time? Thanks in advance for the clarification. Going to try it tonight! The ten minutes starts when you turn the oven to 425. The preheating time counts. Hope this makes sense. No, it starts when you turn on the oven to 425. Just found your recipe on Pinterest!! So excited! Bread is in the oven! Can’t wait! Thanks! So very good! I tried French bread before and it was a baseball bat by the time I was done. This was perfect! When you say something is easy it truly is. I’ve made the thirty minute rolls countless times now. This one will be repeated as well! So glad it was a success for you! I have never used gluten free but I would give it a try and see how it works! When you let the bread rise in the oven, do you keep the oven door closed? I want to try this recipe but something about that step just rubs me the wrong way. Yes, the oven door is kept closed. I don’t have a mixer do I just knead it by hand? Does it make a difference? I found this recipe about a month or so ago and I seriously can’t get enough. We love it!! Making it tonight to go with spaghetti and meatballs. I don’t have a mixer so I do it all by hand, but is definitely worth it. I’ve tried other bread recipes, but none of them come close to how delicious this one is. Thank you!! I love hearing that!! We love it at our house too and my college daughter makes it all the time as well! It’s a keeper! Silly question, the 1/4 C warm water is to add to the yeast? Where do I add the 1 C + 2 T warm water for? 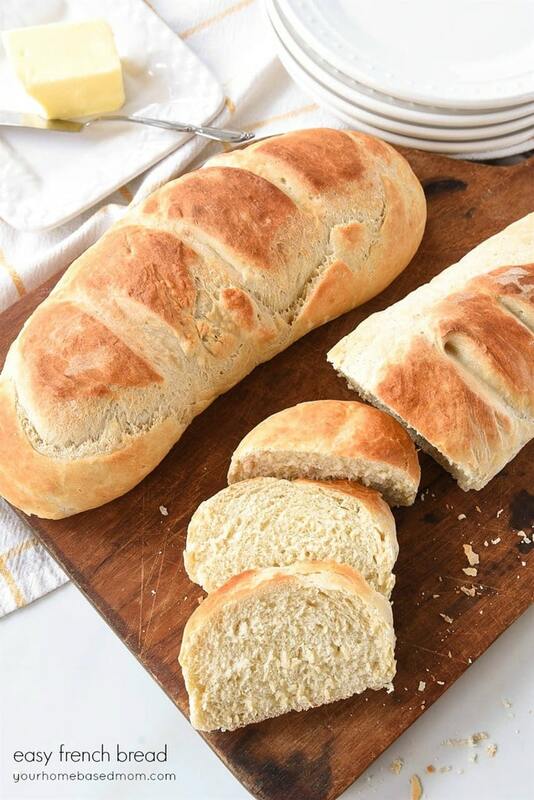 Although I’m a good bread baker for a long time, as I learned it from mother; I’ve never been good with French bread, hope I’m successful with this great looking recipe! Thanks for sharing, I just pined it too! Come by and visit my newest post, I have a bread recipe as well. So I have made this bread a few times. I love it! But, it tends to spread wide and not tall. Is there something I’m doing wrong? It ends up being kind of flat after like 10 min out of the oven. Any suggestions? 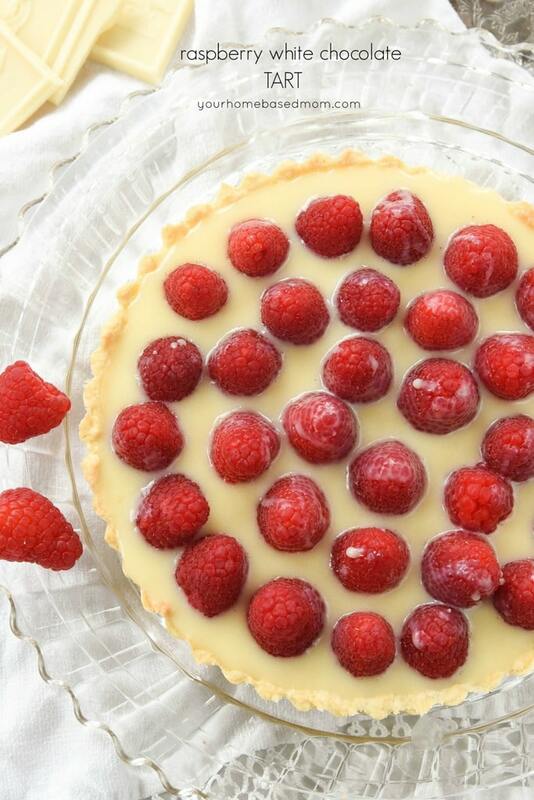 I am trying this recipe wich looks amazing ! My only problem is I am in Central America , each active yeast pkg has 11 g ? Should I use the whole pkg? Or how many tablespoons ? Thank you for this recipe! Making this right now for my husband an myself! Love that you made it with your girls. Have you seen my Bread in a Bag post – that may be a fun one for them too and it would make a good sandwich bread. I can’t wait to make this! Can you refrigerate the dough overnight and bake it the next morning? Marie, I have never tried it but it should work fine. This looks amazing! You think I could do the mixing and first rising in a bread machine, then remove and do the remaining? My mixer has a hard time with thick dough and I just got a bread machine for Christmas. Have never made it in a bread machine but I would think it would work fine. I. LOVE. THIS. RECIPE! French bread has been one of those things that I didn’t think I would ever have the time to switch over from buying to making from scratch (As I do with most everything else in my kitchen) as the process I learned back in culinary school was just too much to apply at home! But this recipe makes such a beautiful soft and yummy loaf of bread that I am officially putting my foot down….NEVER buying french bread again and will be using this recipe over and over again. Thank you for sharing it! Brittany, I love hearing this! It is such a yummy recipe. Thanks for commenting. Wow! That was super easy and super fast! It is in the oven now and smells sooooo good!! Thanks for sharing this! Brenda, hope you enjoyed the bread. It is such a great recipe. Ok I just made this and my dough never rose? What did I do wrong? The yeast I used is Fleischmann rapid rise instant yeast it says u don’t have to hydrate this yeast…I did the first batch and it never rose…what did I do wrong? Brenda, I have only used this recipe with dry active yeast that you have to activate in water. I have never tried it with rapid rise so I’m not sure what the issue was. I am assuming the yeast wasn’t expired? Ok it’s not expired just bought it . It’s good until Aug 29 2016…..I cooked it but it’s hard as a rock….leave it up to me to mess a recipe up….lol I needed the second batch longer and did not soak the yeast just put it in the flour and when done mixing put in a bowl and covered it . It only rose a size bigger then waited longer to see if it would rise more and never did…could it be the flour I used ? White lilly lite ? Baking flour? Brenda, My only thought is maybe this recipe just doesn’t work with the rapid rise yeast. Maybe try it with regular yeast, that is the only way I have made it. More than likely, your water was too warm. Yeast will die just over 120f degrees. I always use room temp water, room temp or refrigerator rise. It takes longer to rise, but the flavor is sooo much more delicious! Warming anything just speeds the process. I use my yeast directly from the freezer. 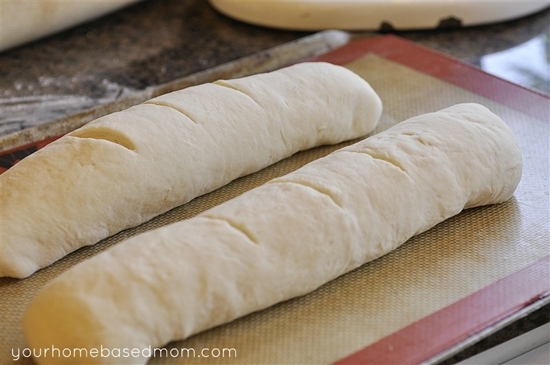 This French bread looks really easy to make! I am gonna try it. I like your photography. I’ve just started my blog and still learning photography. It’s really not easy to do a recipe blog. You did a great job! just curious. so I start the 10 min timer after I turn the oven to 425? or do I let it completely pre heat then start the timer for 10mins? One loaf rose better than the other.hmmmmm…Have them in oven now and the house smells divine! Made Anish butter, for later, too. Today is the third time I’m making this recipe in the past two weeks. My kiddos can’t seem to get enough of it! I’ll be trying other recipes for my meal planning. Thanks for sharing! I love hearing that!!! Thanks! 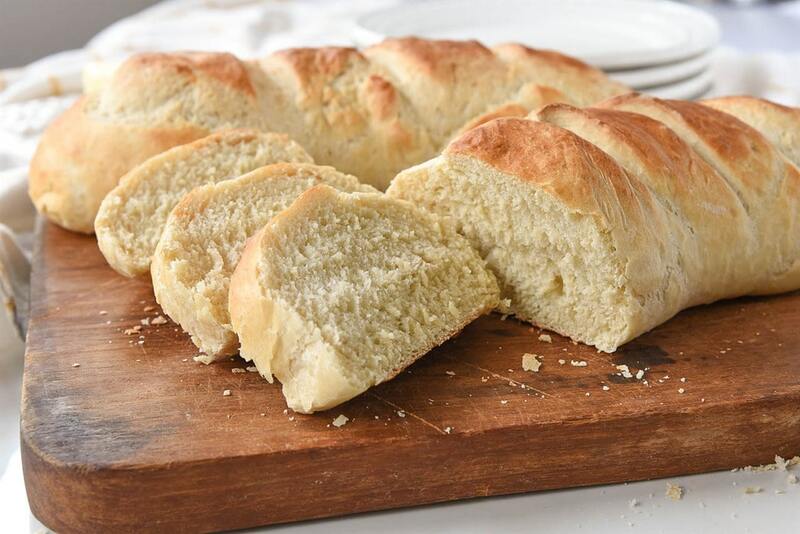 Thank you so much for sharing your fantastic bread recipe! I just used this recipe this evening to accompany a spaghetti dinner that I served for my husband and myself. I hadn’t read all of the comments so I assumed that I had to wait until my oven attained 425 degrees and then start timing for 10 minutes before I dropped the temperature to 375 degrees. So, my bread was a lovely chocolate brown with a super crunchy crust but the inside was light and fluffy and my husband and I, both, ate more bread than spaghetti. Isn’t it funny that if you just make spaghetti with nothing else, it’s just spaghetti and kind of boring at that, regardless of your mother’s famous spaghetti sauce, but if you are also serving a homemade loaf of bread fresh out of the oven, well, then you have a beautiful dinner worth writing about! I think that people all over the world feel nostalgic when they smell bread baking. I love baking good old-fashioned yeast breads but rarely do I have the time it often takes to let the dough rise for 2 or 3 hours and punch it down and let it rise again. This recipe was so simple and turned out such a beautiful and delicious loaf of bread in less than an hour so I know I will be able to recreate those wonderfully nostalgic meals much more often. The recipe made one very large loaf of bread so I think that next time I will heed your advice and make two loaves and give one away. Also, I now know to start counting my ten minutes as soon as I set the oven to 425 degrees and I will have an even prettier golden brown loaf rather than the dark brown I achieved. 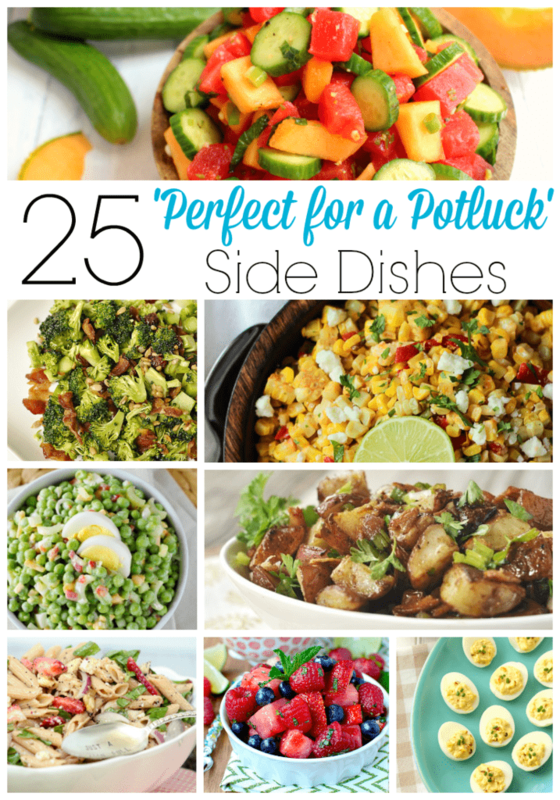 Thank you so much for sharing this recipe; my husband and I are both so grateful. This will definitely go into my list of favorite recipes. It is food fit for the gods! Bless you and yours! So, I made this recipe today. . . But when I left my bread in my oven while it was preheating to the 425 it completely burnt on the top…any suggestions on what to next time?!?!?!? Let me first say that I have made this bread 3 times in the past 6 days. My family loves it and it is gone within a day. Second, I am a professional baker. I’ve baked breads and rolls for a small family owned Bakery for the past 8 years. 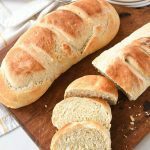 This bread is so much better than what I make in taste, texture, crust crunchiness and this bread is so much easier to make. Thank you for publishing this recipe. This is my first time using this recipe and first time making bread in general. I used too much flour, is there a way I can fix it? If needed, add in a little extra liquid. Sounds yummy! Will this recipe work if I use my French bread pan? This recipe is hands down perfect. I am new to bread making and it can be intimidating however do not fear this bread turns out perfect. Thank you for the recipe. Erin, You don’t know how much I love hearing that!!! Bread can be a bit scary but once you get in there and just do it the fear is gone! Good job. 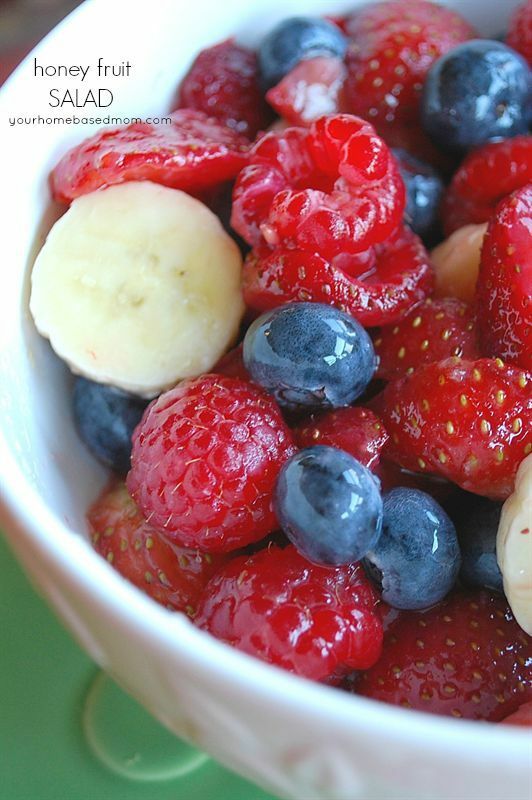 Absolutely amazing recipe! Thanks so much for sharing! The bread didn’t rise as much as I was expecting, but still turned out soon moist and delicious. Perfect with homemade butter on it – I think I ate 1/2 a loaf! Whoops! 🙂 Also, after 10 minutes when the often was at 425, the bread already was golden. I baked it for a few minutes more at 375, and took it out right away. Bread was so soft, I loved it. Thanks again. I’m planning on making this recipe tonight but would like to get the work out of the way before my guests arrive. Can I leave the loaves for an hour or so prior to baking? If so, should I leave them in the fridge? Or out on the counter? Thanks. Kerry, I have only made the recipe as written so I’m not sure. If you refrigerate it first, I’d let it warm up before baking it. It may over rise if you let it sit out on the counter for too long. I’m making this recipe right now! So excited. I’m currently waiting for my dough to do it’s first rise. Just curious how much water you usually boil to put in the dish? This is a great recipe that I use all the time! I have to make a few batches soon, is there a time in this process that I could store the dough in the fridge over night before baking? Tried ts recipe today. It was a hit! Hi. I have a quick question. Do I have to set oven for 425 and at the same time put the timer on for 10 min or do I wait till it reaches 425 and then put the timer on? Thank you! The ten minutes will include the preheat time. Kara, I love hearing that!!! Thanks for letting me know. This was the first recipe I tried for this kind of bread and very well may be my last because it’s just so good! 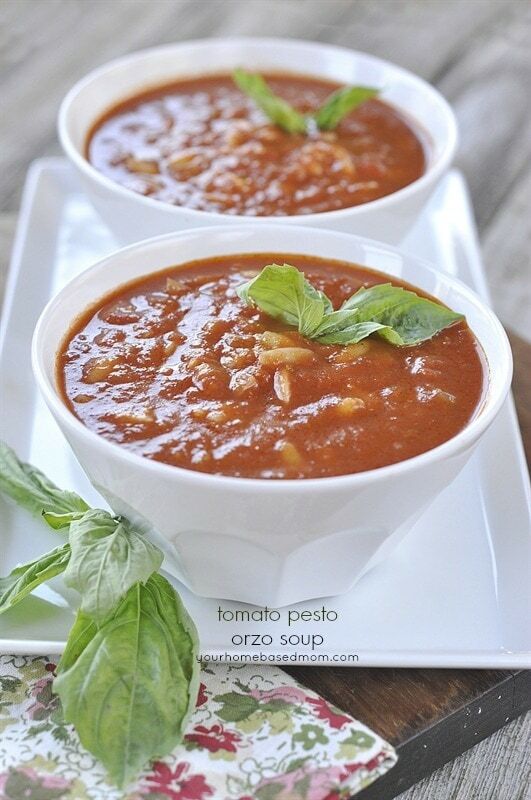 Super simple and goes really well with soup. Thank you for sharing! This was so easy to make and sooooo good. Thia will be a staple in my house now, so much better than store bought. What a delicious recipe! I’ve made sandwich bread and rolls before, but this was my first try at French bread. Gotta have French bread when spaghetti is on the menu ;). I’m glad I came to the comments to see about starting the 10 minutes including preheating time, though. Mind if I feature this recipe on my blog? 🙂 Thanks again! So glad you enjoyed the bread too! I made this today and it was delicious. Only problem I had and I don’t see anybody else did was that when I rolled out the dough on flour surface, then rolled into French bread roll, the flour on the baked loaf looks like psoriasis! It was good, just not that attractive after it was baked. The top of the loaf was fine because of the egg white wash.
Can the dough be frozen for use at a later time? I have never frozen it but I think it would work fine. This recipe looks like something I want to try. Can the loaves be frozen successfully after baking? My husband requested spaghetti tonight, so I wanted to dress it up with a nice french loaf. Bread takes forever! After reading this recipe and (most) posted comments, I can not wait to leave work and go home and bake this bread! It sounds divine! Isn’t this bread the best!! Hope you loved it too! I made this bread. Now family favorite. My 12 year old loves to bake it. If you wanted to frewze the dough for later use, at what step would you freeze it, how would you wrap it, and how would you thaw it? I would wrap it up in plastic wrap really tightly and then in a ziploc bag. let it thaw at room temperature, covered with a towel. This is so good! Thanks for the recipe! I had an issue with my water and yeast mixture not combining all the flour. I dont have a mixer so I was working it by hand. I am at the last rise step however my bread never doubled at either rise. Please help! Kari, One of two things happened as far as it not rising. Your yeast was expired or you used water that was either too hot and killed the yeast or it was not warm enough so it didn’t activate. Not sure what you meant by your water and yeast mixture didn’t combine with the flour? I made my first homemade loaf of bread just last week and was so excited when it went well, that I decided I should make french bread to go with my spaghetti (garlic bread…yum!) tonight. It wasn’t very pretty, for a first attempt I give it an 8 out of 10, but it was so delicious I decided this is recipe is going to replace the other bread recipe. Thank you so much for sharing! I used self rising flour, is that ok? Or should I start over? I am not very useful in the kitchen, but my hubs has been interested in bread lately. I luckily won a Kitchenaid mixer a couple of years ago. I tried this recipe for the first time today, and it came out so good! I really made it because my hubs was wanting French bread pizza and was hoping to surprise him. Turns out, I surprised the both of us. It was so yummy! Thank you! I am so happy you loved the recipe too!! Why 1 tablespoon of sugar? This bread already has 1 teaspoon of sugar in it with the yeast. I do not think French bread is supposed to be sweet at all. If I make this bread I will be leaving out the 1tablespoon of sugar. when I make this bead I will be leaving out the 1tablespoon of sugar . it has got 1 teaspoon of sugar in it enough. I am also going to wait until my oven is fully preheated before I put the bread and pot of water in it. Hello! I’ve always been scared of yeast, but after trying your recipe and succeeding each time, I am baking more and more! Quick question, do you think I could double the recipe, then divide the dough into four pieces, shape into circles and bake bread bowls for soup/chili? So glad you are finding success with the recipe. If your mixer is big enough to handle doubling it, it should work fine. Donna, I have never frozen it but it should freeze fine. Mine turned out perfectly! It was better than bought! I followed your recipe exactly ….. I made just one loaf… thank you! Step three of the instructions says to add water. You add 1 cup plus 2 Tbsp water. What if you don’t have a mixer of any kind????? You can totally mix this by hand – just takes more work. Does this work in a gas oven? I have never cooked in a gas oven but I would think so. how do I watch the viedo? Delicious bread! Love the texture. Mine spread in the oven though so it came out more flat/wide. I used 3.5 cups of flour. Any suggestions for next time? Not sure why your bread came out flat, I have never had that happen. What altitude are you at? Yum Yum – I just made this French Bread and it is really good. My husband love it too. I am sure I will not be buying bread any longer. Thanks for this delicious, incredibly easy recipe. Followed exactly and the bread turned out beautiful. Nice and crusty exterior. I realized, last minute, that I had no bread to go with dinner. This fit perfectly into the limited time that I had. Wonderful recipe that I will definitely use again. Have you ever substituted with whole wheat flour?